Queen Victoria’s relationship with her mother had always been difficult. This was certainly not helped by Sir John Conroy, the Comptroller of The Duchess of Kent’s household, who had promised to protect the Duchess after the death of the Duke of Kent and she soon came to depend on him. He used to cruelly tease the young Princess Victoria, and he pushed his daughter Victoire on her but Victoria never really trusted her playmate. Sir John monitored the Princess’ every move, and he was a big part of why Victoria was almost completely cut off from the rest of the royal family. Sir John and the Duchess of Kent wanted two things – for Sir John to be appointed Victoria’s private secretary when she became Queen and for the Duchess to become regent if the King died before Victoria came of age. Victoria constantly refused the requests – she loathed Sir John and how he had beguiled her mother. King William IV spouted his distrust of the Duchess and “her evil advisers” at his last birthday dinner, leaving Victoria in tears and her mother fuming. As Victoria neared her 18th birthday, the situation became unbearable, and Victoria was soon no longer on speaking terms with her mother. When the King offered Victoria her own household on her 18th birthday, the Duchess and Sir John were furious. On 20 June 1837, the King died, and Victoria became Queen at last. The Duchess waited until six in the morning to wake Victoria up, despite the fact that the Archbishop of Canterbury and his chamberlain had arrived at five. Nevertheless, after being told she was Queen, Victoria cried on her mother’s shoulder – afterward, she asked for time alone and to have her bed moved into a room of her (she had previously shared a room with her mother). The rift only deepened after she became Queen. 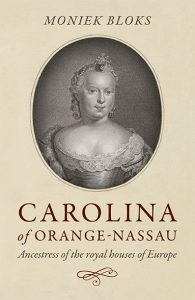 She refused to change her mother’s rank and did want Sir John as her private secretary. The Duchess continued to try and rehabilitate Sir John. The bitter feud was soon the talk of the town. Victoria distrusted her mother and did not even tell her mother of her engagement until a few days before Prince Albert returned home. Their relationship began to defrost somewhat when Victoria married and began having children. 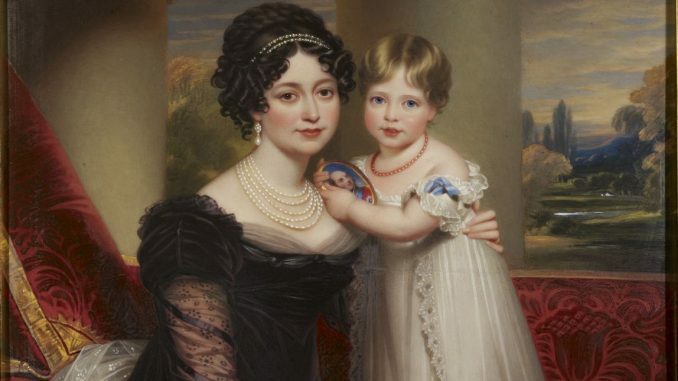 The Duchess of Kent was a doting grandmother, and upon the death of Sir John Conroy, the Duchess of Kent wrote to Victoria, “He has been of great use to me, but unfortunately has also done great harm.” Victoria assured her mother that those days were long forgotten.